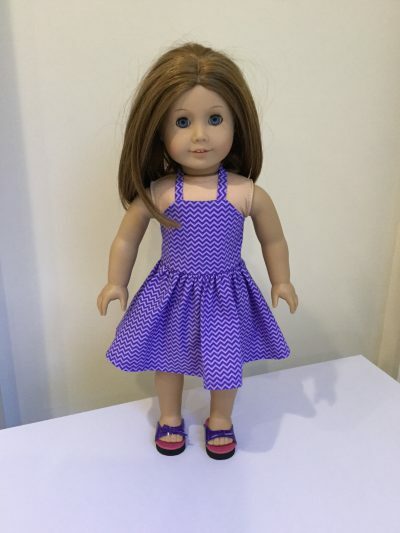 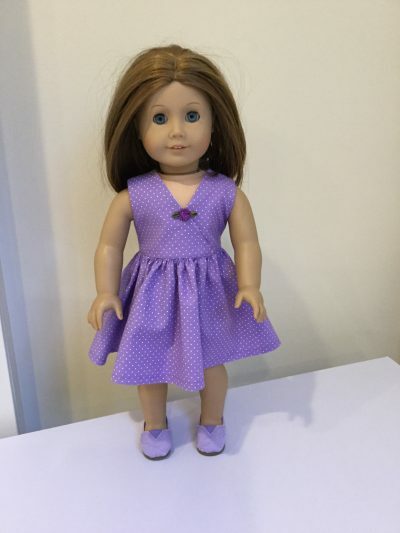 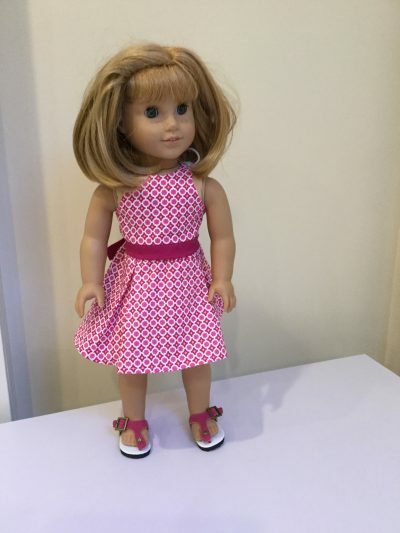 Pink doll dress with keyhole feature on back and cute sandals. 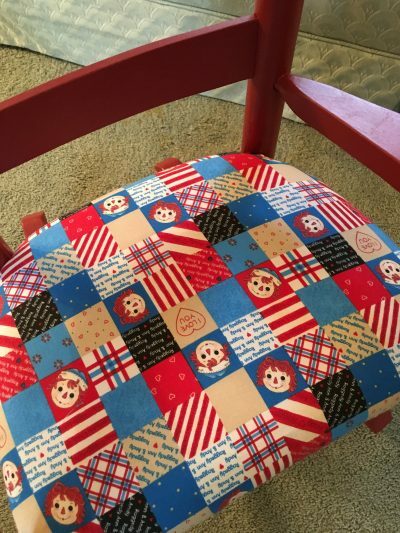 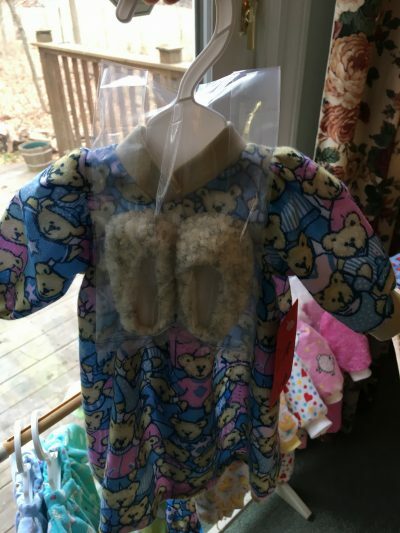 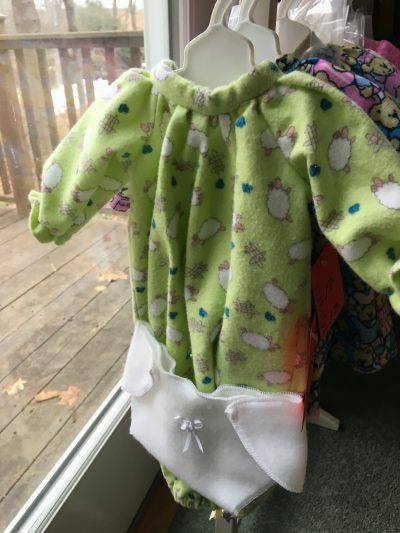 Doll Pjamas with bear fabric and slippers. 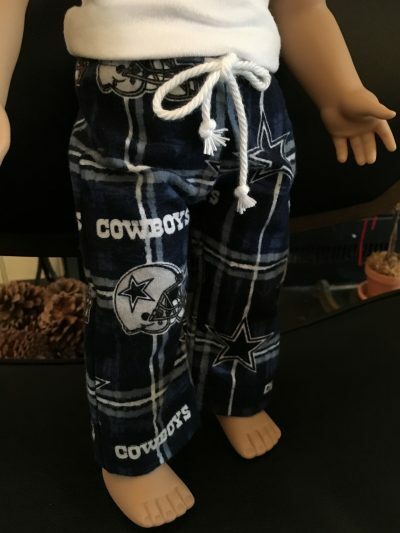 Perfect for bedtime! 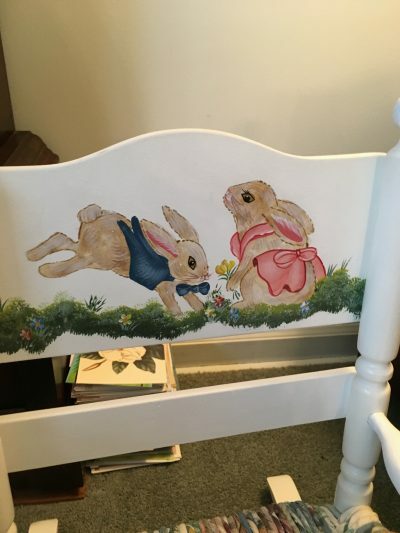 Hand Painted Chair with two playful rabbits.